How does a caterpillar cross the river? When a caterpillar becomes a moth. 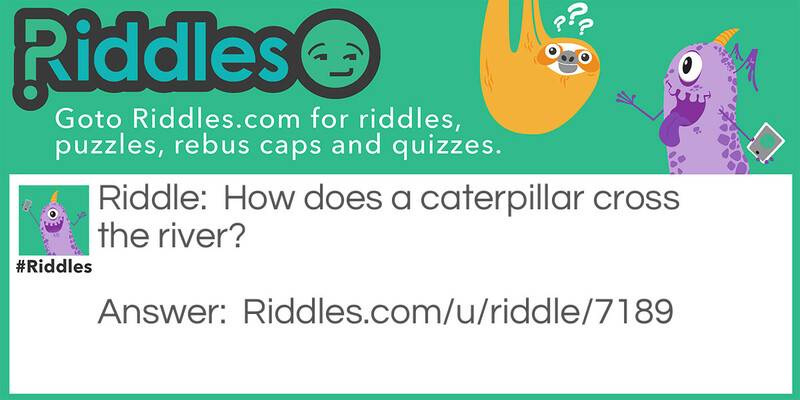 A caterpillar Riddle Meme with riddle and answer page link.